We only recently discovered Rami Kadi but we could rave about him all day. As a boy growing up in Lebanon, Rami used to alter his mum's clothes and pick out her outfits. It wasn't a surprise he went on to study fashion design in Beirut and from there gaining experience working with Rabih Kayrouz and Georges Chakra. He was chosen by the Starch Foundation in 2008 to showcase his first two collections. This was obviously a huge hit as it led him to establish "Madame Muguet", a luxury multi-brand boutique. In 2011, he opened his first flagship Boutique and Atelier in Beirut, Lebanon. 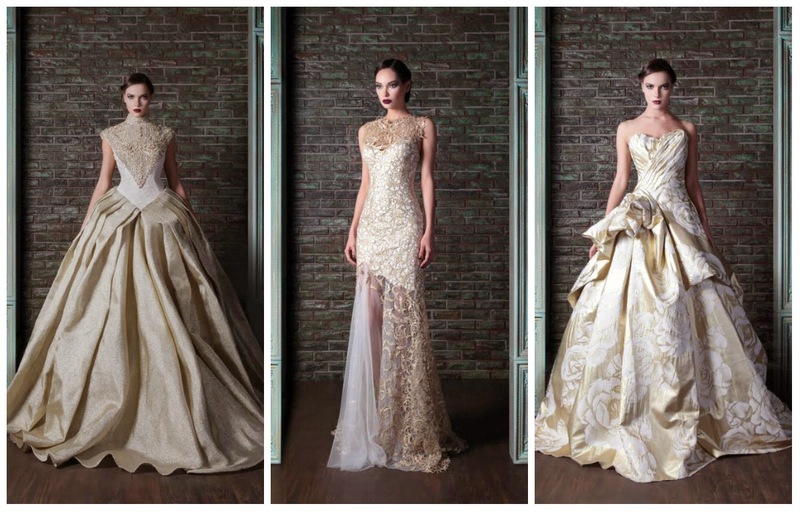 Rami Kadi is easily one of the best couture designers in the Middle East because of his exquisite display of craftsmanship and flattering designs. His latest collection "Le Royaume Enchanté" which means "The Enchanted Kingdom" depicts elegance, intricacy and innovation to a level where it looks like they were created by magic. 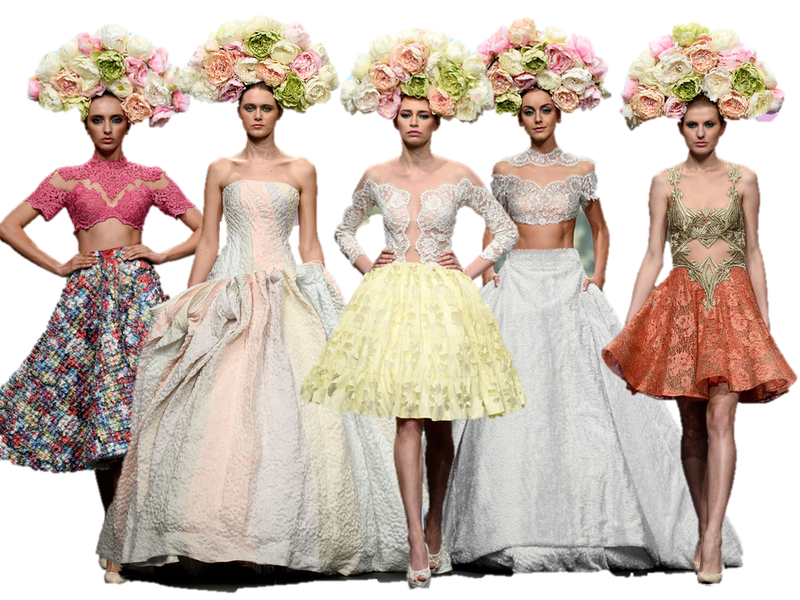 It was showcased at Dubai Fashion Forward III and looking at the runway photos, we really wished we were able to attend. Hopefully next year we'll be sitting in the front row. Attending one of his shows is in our bucket-list and interviewing him will be a dream come true. "Le Royaume Enchanté, Rami Kadi's latest collection unfolds within the pages of a fairytale, and is inspired by story of a sleeping beauty who wakes up from an ever long sleep and finds her self within the confines of a sumptuous castle. It is with mixed feelings of surprise, and astonishment that the gracious princess walks through the aisles of the palace, and discovers a place glowing with royal opulence and yet holding an air of modernity." 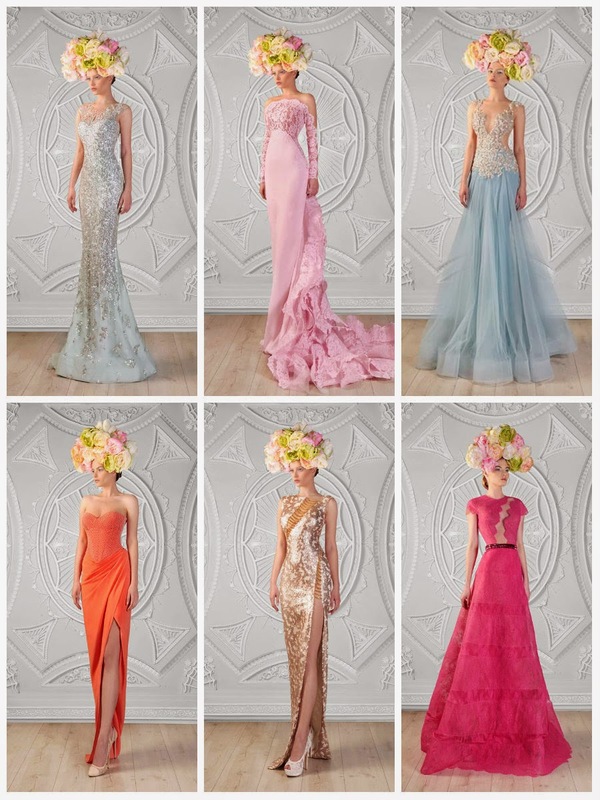 This collection was masterfully put together with combinations of tulle, silk crepe, organza, mikado and lace. The floral headpieces add eccentricity to the pieces but also a bold femininity. However, it is not only this collection that left us in awe of Kadi's talent. 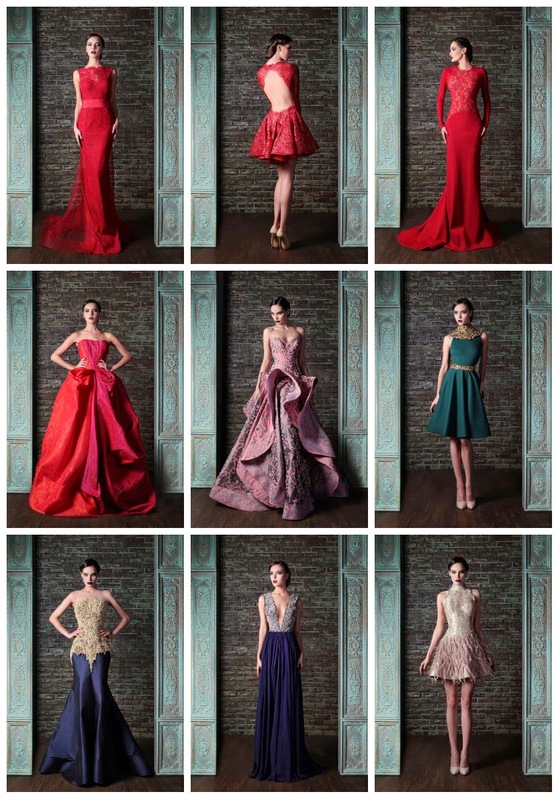 His previous collections are equally as beautiful and intricate. "Les Jardins Suspendus... The Hanging Gardens in French, says it all. Bouquets of lace and embroidered flowers blend together among pastel waves of tulle and refined fabrics, resulting in fairytale dresses, fresh colors and dreamy figures. 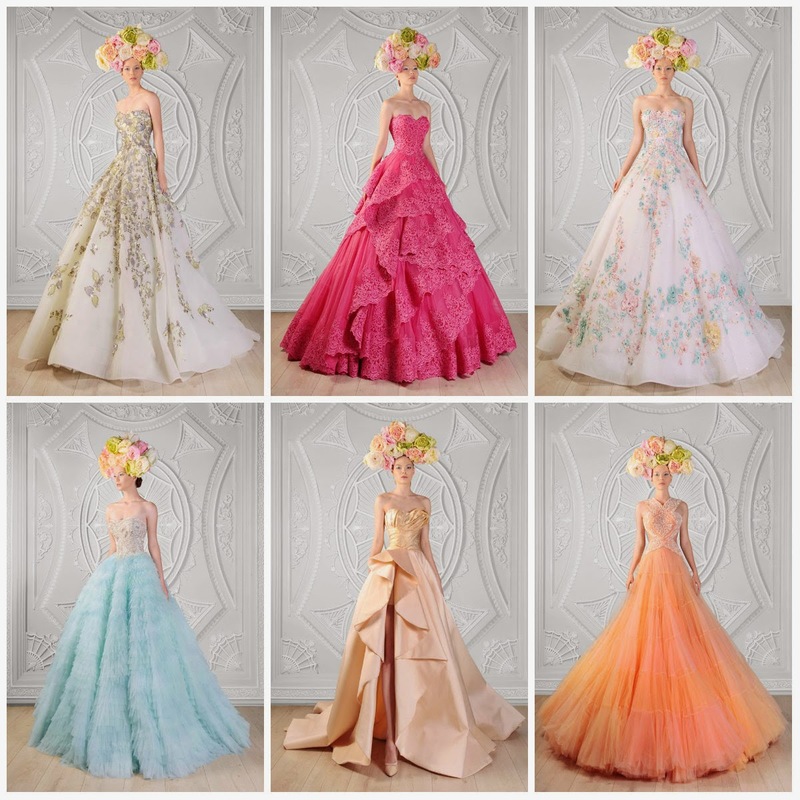 Following the winter ball, it is now time for the long awaited spring ball, where gardens of elegant flowers have emanated from the young designer's vision for the upcoming season, and bloomed on the gowns and dresses of this collection, in a whirl of bright and chic. 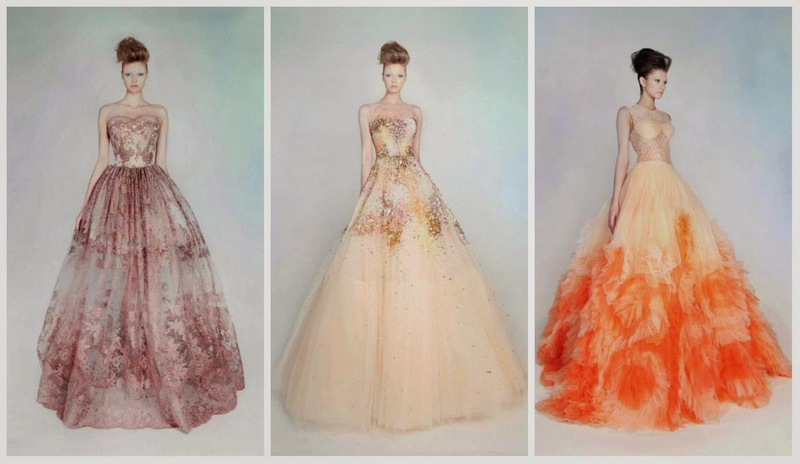 From the freshness of the colors, to the spring air and summer breeze blowing through the layers of fabric, highlighting the fluidity and the movement of the dresses, each gown looks like it is walking out of a dream, leaving a trail of seduction behind, and reflecting Kadi's now signature style of elegance and grace." "Le Gala Des Mystères is the tale of a graceful beauty, who, on a starlit night, was invited to attend a lavish gala in a far away palace, only to find time had betrayed her and she was standing amidst the remains of a party, torn and tarnished by the years gone by, and left at the mercy of nature which was claiming back its stolen territories. It is within the decor of what used to be a palace, now taken over by rust, moist and climbing foliage that the scenery of this collection unfolds, taking us on a journey mixing luxury and grandeur to the whispers of a revolting nature and a hurried time. From exquisite embroideries to dramatic volumes, where lace embraces noble fabrics in a ballet of creativity, Kadi's collection for this season is set to bring yet another chapter of success to the young designer's journey." Truth be told, the only difficulty we encountered with this blog post was deciding which pieces to put in the collages. If you want to know more about Kadi or see more of his collections, you can check out his facebook page, instagram, twitter and website. We promise you won't be disappointed as we have nothing but praise for this wonderful young designer. Runway photos were taken from here. All other images were taken from the Rami Kadi official website and Facebook page.